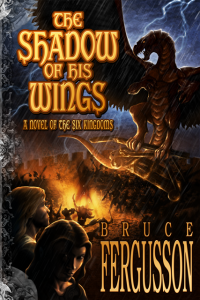 Lucky Bat Books is proud to be the publisher of Bruce Fergusson’s books, both backlist and new works. Bruce Fergusson’s suspense novels include The Piper’s Sons—nominated for best novel by the Pacific Northwest Booksellers’ Association—and Morgan’s Mill, which weaves history of the Civil War and Underground Railroad into a contemporary narrative of suspense. 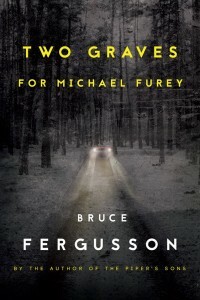 His latest, Two Graves for Michael Furey, a psychological thriller of obsession, desire and abandonment, now joins his previous award-winning works in paperback and ebook! 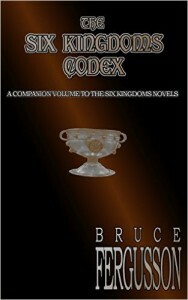 And the Six Kingdoms fantasy series! The fourth book, Kraken’s Claw, will be published in 2016. A companion volume for the series to date—The Six Kingdoms Codex—features an introductory story, extensive glossary and background to the world, and a color map by cartographer Pieter Talens. 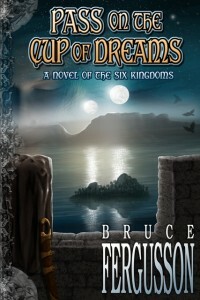 Lucky Bat Books brought The Shadow of His Wings out in ebook in 2013, and followed closely with The Mace of Souls, and then the previously unpublished 3rd book in the Six Kingdoms series, Pass on the Cup of Dreams. The Codex was published in 2014. Then, just for fun, how about a short story, just to keep you wondering between books? That takes us to Fergusson’s short, an 8,000-word story, A Beast in the Ruins, published in 2014. 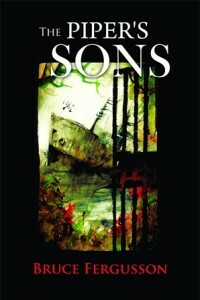 Fergusson’s psychological suspense novel, The Piper’s Sons, made the USA Today and Barnes & Noble bestseller lists, and was nominated for best novel by the Pacific Northwest Booksellers’ Association, first published in 1999 by Dutton, published in ebook format by Lucky Bat Books in 2015. James Malloy has had his share of troubles, beginning with his father’s abandonment of his family, the fragile mental health of a wayward brother, Sean—and the sudden violent end to Malloy’s dreams of a major league baseball career. When he meets and falls in love with Katie Walsh, the skies open. Shortly after the two become engaged, Katie disappears. Many months pass before he learns—in the most shattering way possible—what happened to her. James Malloy’s ensuing hunt for Katie’s murderer—and the chance discovery of his missing brother’s shocking, long-kept secret—will lead him to the Cascade Mountains cabin of an artist named Helen Sommers, and then to the ruins of an Erie Canal aqueduct not far from her childhood home and the source of her private obsession that spans time and distance, prey for a predator of many identities who believes he’s claimed it for his own. Managing Editor of this book: Louisa Swann. Cover by Nuno Moreira. 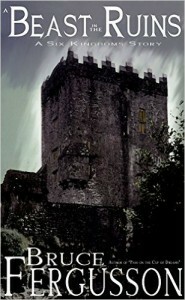 In pursuing the mystery of his grandfather’s disappearance, Thomas Morgan discovers shocking secrets beneath the family’s soon-to-be-razed gristmill that have linked two families in a deadly symbiosis going back to the Civil War, secrets that will thrust Morgan—and the woman he loves—squarely into the sights of a psychopath. 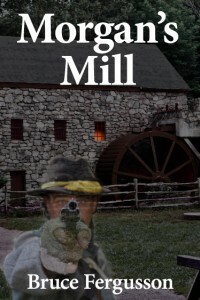 Seamlessly weaving history of the Civil War and Underground Railroad with a contemporary story of corrosive control, psychotic possessiveness, retribution and redemption, Morgan’s Mill is a suspense novel of chilling psychological portraits and signature detail. 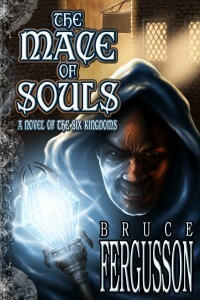 Read more about Bruce Fergusson on his website, BruceFergusson.com.